Lynne Crandall's Crandall Press and Associates, offers press releases, media strategy, writing services, and business consulting services and workshops. Office 4660 Marsh Rd. Ste. 14, Okemos, Michigan, 48864, minutes from Michigan State University and the Lansing Legislative Offices. Driving directions below. Lynne is an independent media, press, and business consultant, planning media strategies and designing web sites for businesses and organizations. She has been the media and press consultant to the Michigan Association of Acupuncture and Oriental Medicine since 2002, and assisted the organization with the passage of a regulatory law to provide licensure for acupuncturists practicing in Michigan. The bill was signed into law by Governor Jennifer Granholm in February, 2006, after a 20 year effort. 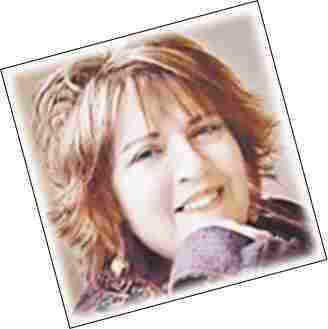 She also designed the original MAAOM web site www.michiganacupuncture.org (it has since been changed)..
Lynne is also a weekly columnist and free-lance writer for three Gannett newspapers, the Lansing State Journal Noise, the Battle Creek Enquirer Wow!. The Greenville News Link in Greenville, SC, takes her astrology column which is unique as it answers a question sent in by readers. Her recent activities include directing the September 11, 2005, media efforts for the MSU Kresge Art Museum fundraising effort Twilight in the Garden. She worked with the capable and talented members of the Friends of Kresge Art Museum to bring in $10,000 more and 100 more patrons than ever before. It was also the first time patrons showed up at the event itself to buy tickets, an unexpected situation gracefully handled by the staff of the elegant James B. Henry Center for Executive Development. Excerpts from her article on the late Lorraine Beebe, the third women to sit in the Michigan House of Representatives, are quoted in the book Off the Record, by author, senior capitol correspondent, and host of a political interview program by the same name, Tim Skubick. The book chronicles thirty years of Michigan politics and was named a 2004 Notable Michigan Book. Lynne began her career after living in London, Copenhagen, and Manhattan, and traveling throughout Europe and limited travel in the Middle East. She then returned to Michigan to be near her family. She attended the University of Copenhagen briefly for Danish language classes, attended the New School for Social Research in New York City to study film, and later earned her B.A. from Michigan State University. After that she worked as a journalist and correspondent for United Press Lansing Bureau and went on to work as a free-lance writer for the Detroit Free Press and other Michigan newspapers and magazines, providing both articles and photographs. She later wrote speeches for the Director of the Michigan Insurance Bureau and continued while he held the office of Chairman of the Michigan Public Service Commission. While working in this capacity, she also organized an energy conference which featured panelists Amitai Etzioni, social action theorist, Kenneth B. Clark, educator and civil rights activist, Barry Commoner, environmentalist, Rollo May psychologist, and economist Walter Adams, through the MPSC, and the Governor's office, in collaboration with MSU. She then moved into a position as a broadcast journalist and news director for McDonald Broadcasting Company in Petoskey, Michigan. Along with the news, she hosted and produced "The Newsmaker of the Day", a daily radio news interview program where she interviewed political figures, labor leaders, and movers and shakers from all walks of life. She created and produced the "Bay View Conservatory of Music" weekly series featuring interviews with internationally acclaimed musicians and composers studying at the Conservatory of Music in Bay View, Petoskey, Michigan. She left to take a role as a media consultant for a congressional campaign in Michigan's Upper Peninsula, Tom Stewart: Democrat for US Congress. She joined the media team from Washington, D.C., due to her knowledge of the unique features of northern Michigan's media. During the campaign, she traveled throughout the area writing and delivering speeches for the candidate along with writing press releases and planning media strategy. After that she returned to the Lansing area once again to resume her career in media and newspaper writing. Since returning to the Lansing area, along with her media and press work and newspaper column, she hosted an East Lansing local origin call-in television program "Within", where she interviewed guests from different ancient and modern spiritual traditions from around the world. Lynne currently resides in Okemos, a bedroom community of Lansing and East Lansing. She has a continuing interest in Michigan history and her children's activity books, Michigan Legends and Lore, and Fun with Michigan Activity Games are in the collection of the Library of Michigan and were featured as part of Michigan Week. She created, self-published, and marketed the books, which are based on the history and natural resources of Michigan. The books are available in bookstores and museum gift shops, and are used in classrooms throughout Michigan. Lynne developed press releases and assisted with a media and press strategy for television, radio, and newspapers. She also wrote and delivered speeches for the democratic candidate throughout the Upper Peninsula and Northern Lower Peninsula. Formerly ITV, now MSU TV, MSU's Instructional Television Department for the MSU College of Human Medicine. Film credits "Children, Anxiety, and Pain" and "Our Baby Died". Host of Television Program "Within"
She hosted a local origin call - in television program which investigated different holistic lifestyles and traditions along with a round table discussion in which she and others tackled news headlines in light of the trends in society. Host Radio Program "Newsmaker of the Day"
Hosted a news interview program that interviewed labor leaders, political figures, internationally acclaimed musicians and composers, authors, artists, and a variety of guests from all walks of life and culture current at the time. Radio Feature Series "Weekend Magazine"
Lynne produced, wrote, and narrated these programs on lifestyle choices, historical, Native American, and Maritime topics in Michigan. WLNS-TV, Lansing, Several appearances discussing aromatherapy and how it enhances the health and beauty of the individual using it. WILX TV, Jackson, Michigan, discussing holistic topics in terms of local and and national perspective. Channel 51. She was the subject of an hour long interview for "The Unbelievable", a local mid Michigan area interview program dedicated to making holistic trends more understandable. WJIM Radio, Lansing. The Chris Holman Morning Business Program appearing with Deborah Lincoln, executive board member of the American Association of Acupuncture and president of the Michigan Association of Acupuncture and Oriental Medicine to answer questions about the current status of efforts to pass regulatory legislation in Michigan. WPZZ Radio, Ann Arbor, Michigan, (Tom Monahan's radio station) answering questions over the air in live call-in interviews and discussing local University of Michigan sports and news events in terms of current trends. WMMQ Radio, Lansing, answering questions over the air in live call-in interviews and discussing local University sports and news events in terms of holistic trends.